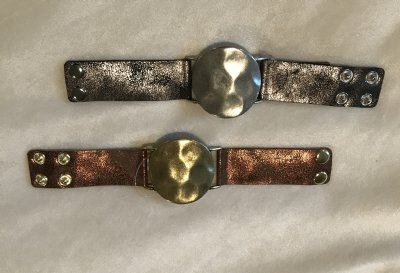 These wide leather bracelets have a leather band with a large round accent. The leather band is 1" wide. Adjustable snap closure on the band.